Cul Mor is fringed with cliffs on three sides. 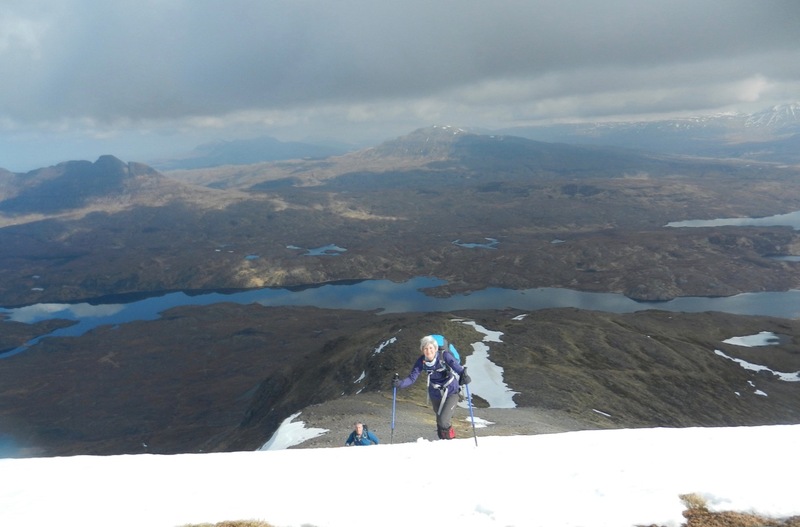 From its 849 metre summit there is a 400 -metre drop to Lochan Dearg a' Chuill Mhoir, excessively steep. 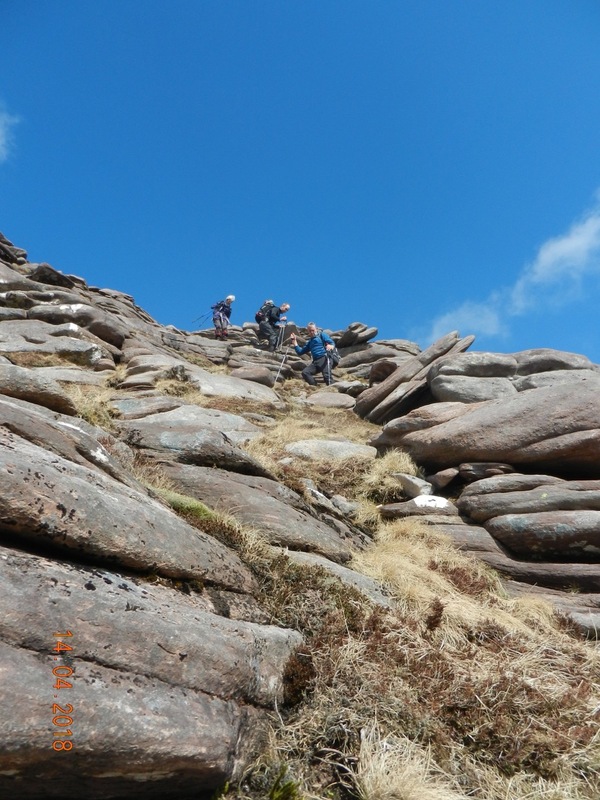 Having made our way quickly up the “normal” route, Steve, Dolly, Paul and I started to take the traverse in the SMC guide, and made our way very gingerly down, down, down, threading the edge of the crags. 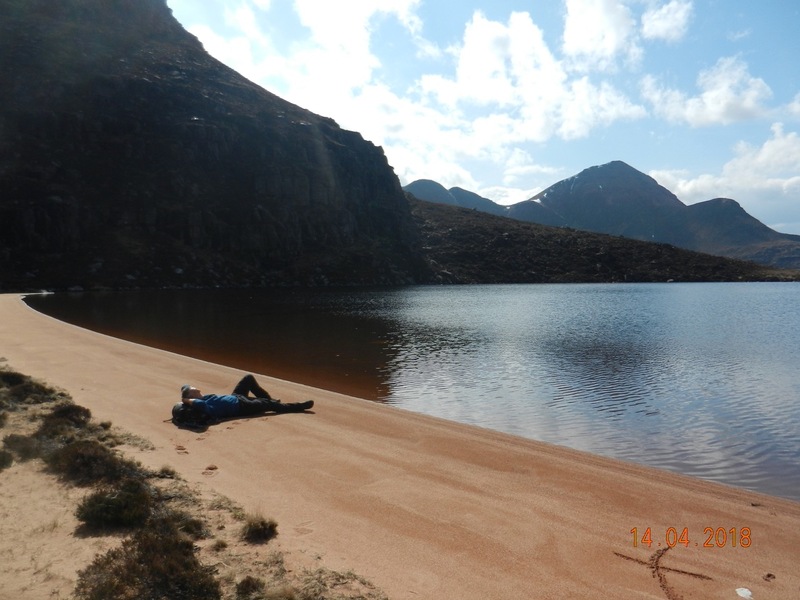 Luckily there is a beach to rest on...... from which the Lochan takes its (reddish) name. 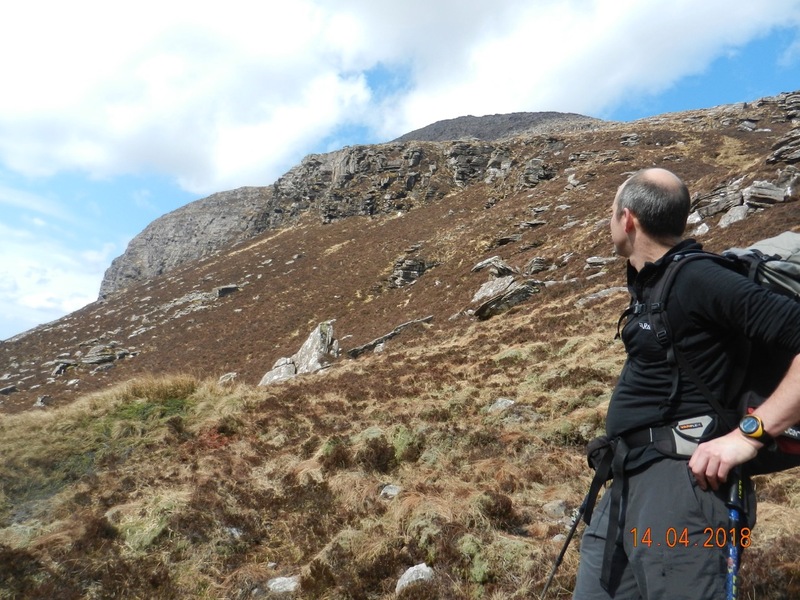 We were still more than a thousand feet above the sea, however, and so after a sandy lunch, there was more down, down, down, avoiding crags, for a further kilometre to Lochan Dearg. 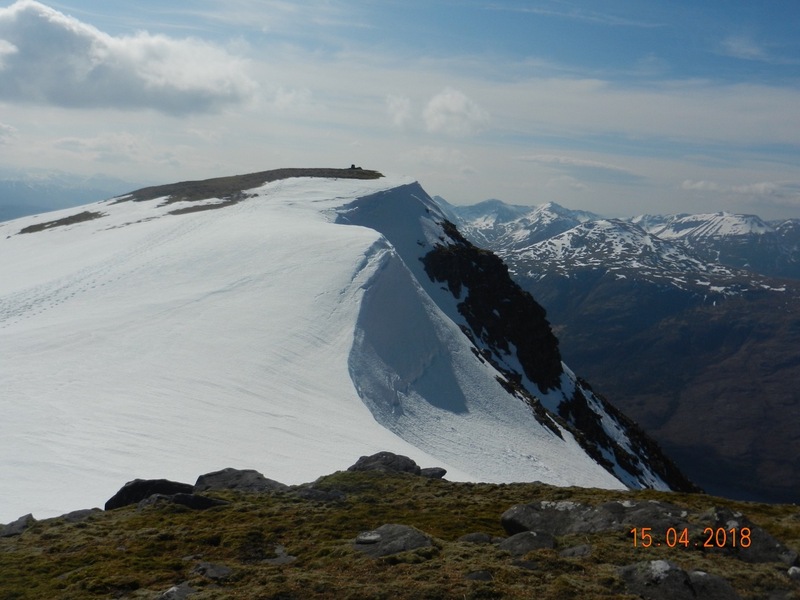 And all the while we could see the north ridge of Cul Beag, going up, up, up, at an angle which later examination of the map proved was actually 45 degrees. We groaned, sighed, and heaved ourselves up a couple of hundred vertical metres of this Grade 1 heather to bask a while at the summit. From there it was only 5 km back to the car, “enlivened” by the fact that once down from the mountain, the route continues to descend to a point 150 m below the road, adding a last kick to the final stage. 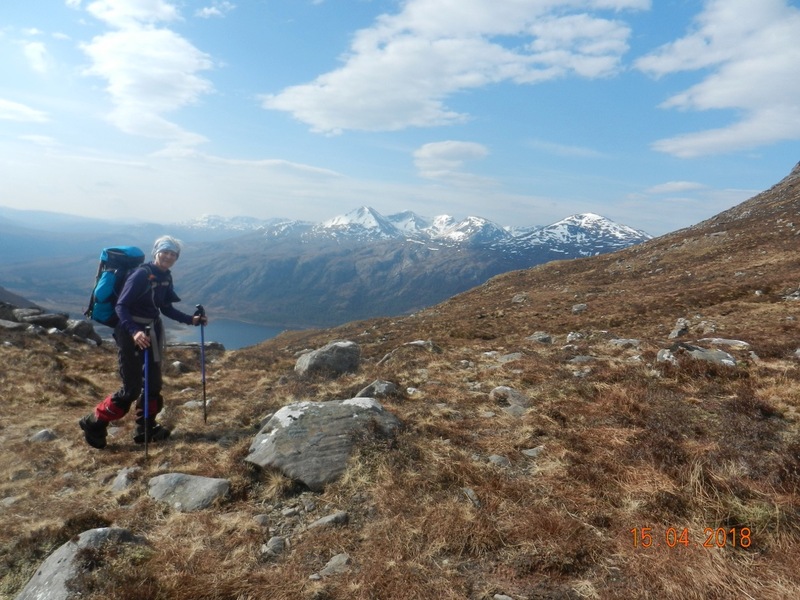 Altogether, the Cul Mor – Cul Beag circuit is 19km and 1450 metres ascent….. which may seem big but not overly excessive. However as the SMC text mentions coyly, “the terrain is rough, and the time required may be more than the distance suggests”. A real taste of the wild, too, as there are no paths beyond the first summit, suggesting that most people do these two Corbetts on separate short days. .
Paul and I both agreed that in the 50 years Highland experience we have between us, this ranks amoungst the most strenuous single days. We bought some hunky steaks for dinner to celebrate a memorable hunky day. 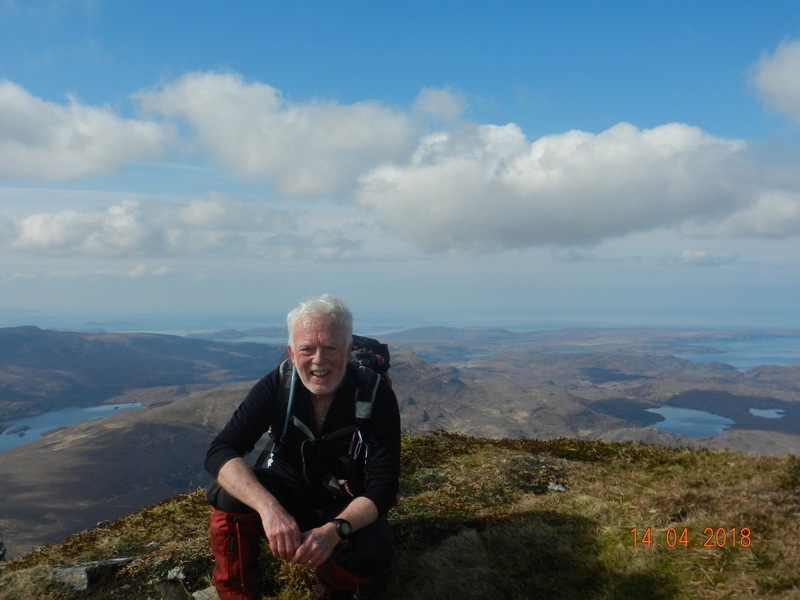 Steve consulted t'internet (Walkhighlands) and could not find any accounts by anyone who has done both these Corbetts as a single day. ! 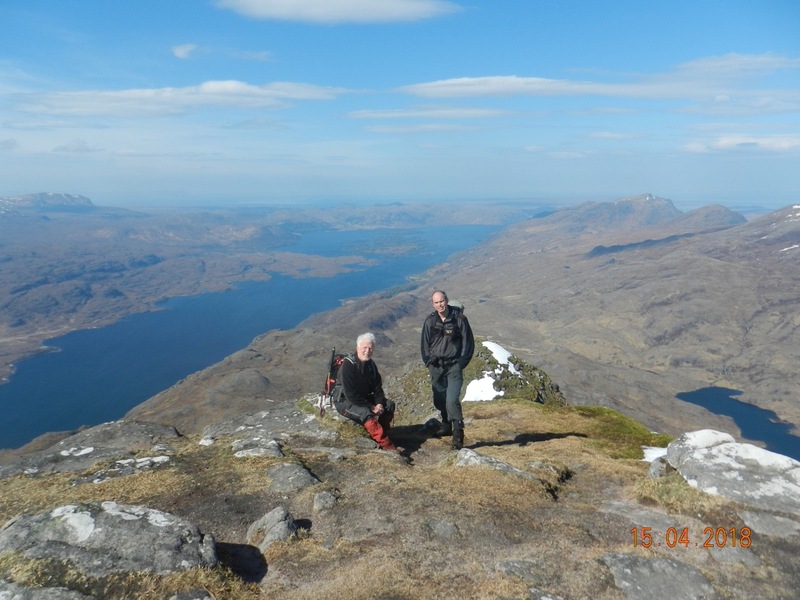 On Sunday a prompt start got us down from Ullapool to Kinlochewe, and in bright clear weather we marched up another mountain fortress, the celebrated Slioch. 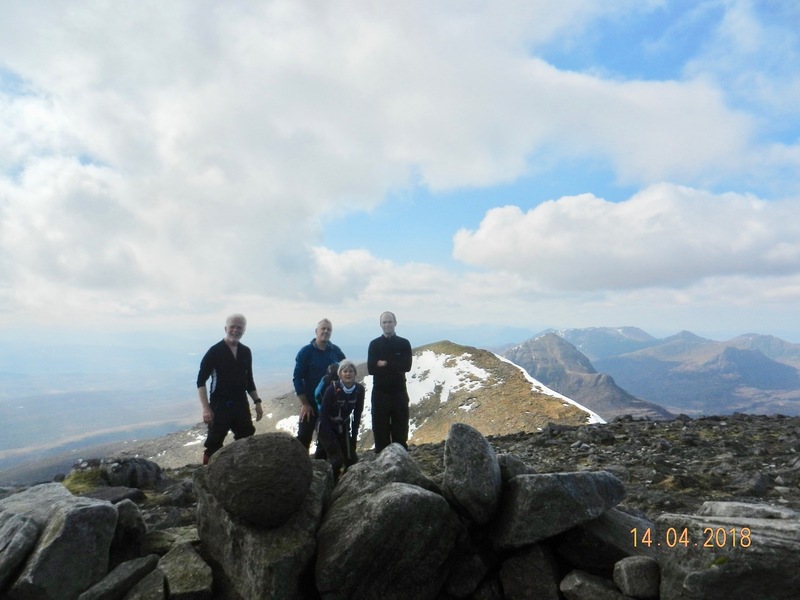 Its 981 metres, taken from sea level, began to seem moderate after the Corbetts. 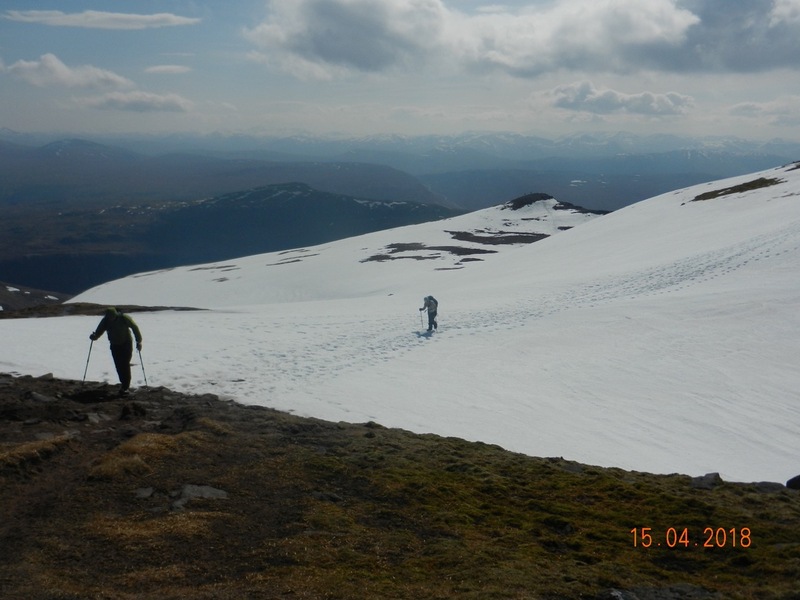 Paul and I have “previous” here:- in 2008 it was my 282nd Munro (two from finish in those days) and we went up in heavy rain and mist. So for 10 years we've felt Slioch owed us one. 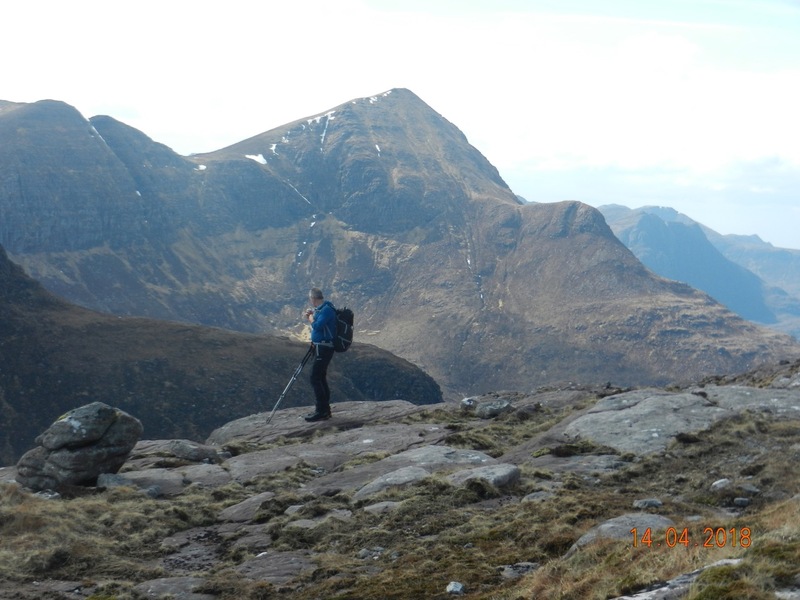 A debt now settled, with stunning views from An Teallach across A'Mhaigden and Fisherfield, the length of Loch Maree, and to the south, Beinn Eighe and all Torridon. Tagged Cul Beag, Cul Mor. Great report and a fantastic weekend.